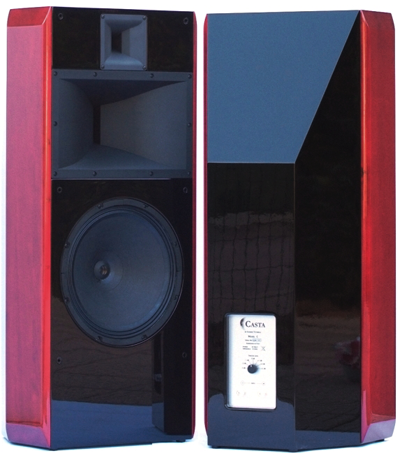 The Italian Casta Acoustics Model C garnered some positive buzz at the 2012 TAVES show here in Toronto last September and served as an exciting musical teaser despite the rigours of show conditions to merit more thorough listening afterwards. These big exotic Italians are a very serious effort. At their daunting price tag they represent an all-out assault by designer Roberto Tittarelli to achieve his vision of musical perfection whilst falling into the "packed in wooden crates" level of high-end hifi. 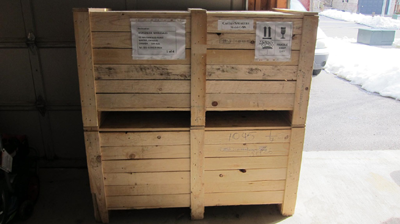 When they arrived at my doorstep, Mr. Robert Neill of Worldwide Wholesales, the North American distributor, had already shed the wooden packaging to facilitate easier entry but they still proved a two-man job to carefully dispatch into the listening room. So who is Casta Acoustics? Founded in 2011, Casta Acoustics is a fresh addition to the extreme high-end roster and also a relative newcomer to the North American marketplace. Entry level for them is the $7.000 Model A, a two-way bookshelf followed by the $14.000 Model B floorstander which culminates in today's $28.000 Model C. Clearly there's no budget offering in this lineup. These are aimed at discriminating audiophiles who have already worked their way up the ranks and now want something very special to settle down with. For those contemplating opening their hearts and wallets, lets take a quick tour of the company and speaker. Casta Acoustic’s owner and designer Mr. Tittarelli made the move from audiophile to DIY hobbyist with the construction of his first amplifier at the tender age of 13. 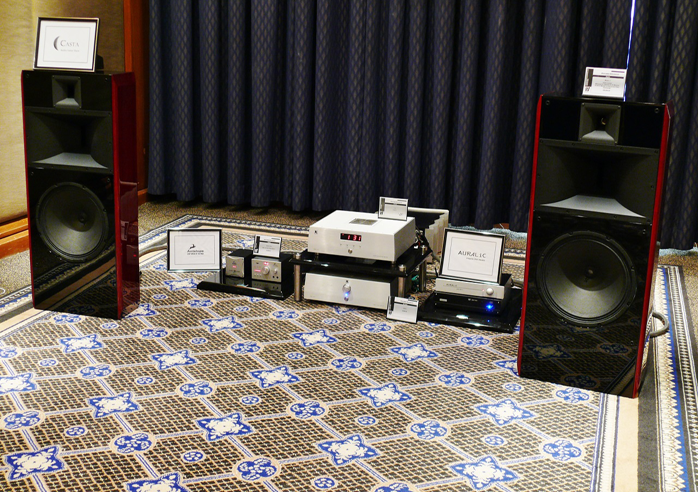 Exposure to music and the lure of exotic fare displayed in hifi publications further fuelled curiosity and passion. 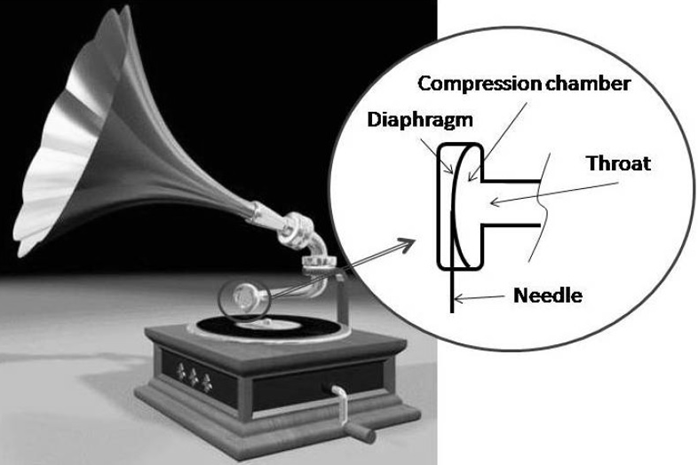 By 18 he started to examine the possibilities of hornspeakers still considered largely industrial at the time but already beginning to receive attention in the French and Japanese underground scenes. Despite personal flirtation with panel speakers, the untapped potential of horn technology would continue to haunt. At 20 he had first-hand exposure to live music productions at the Pergolesi Theatre of Jesi. Following his graduation from Industrial G. Marconi of Jesi he divided his time working on projects for Fiat research center including Ferrari Formula 1 and his passion for music whilst finding a kindred spirit in electronics engineer Maura Scuderi. Their collaboration led to the creation of amplifiers and loudspeakers that evolved into a business enterprise which by 2011 formally became Casta co-owned by both parties. Ms. Scuderi mainly handles communications and commercial aspects whilst Mr. Tittarelli is the designer. The three current speaker models represent 20 years of research and construction developed with recording artists to reproduce what Mr. Tittarelli hears live in the studio. Although the website contains a wealth of information on design, philosophy and setup, I asked Mr. Tittarelli a few extra questions. Q: How large a company is Casta Acoustics? A: We believe that the company must be kept small to allow us to deal with every part of building a speaker and hand matching everything from drivers to very small crossover parts. 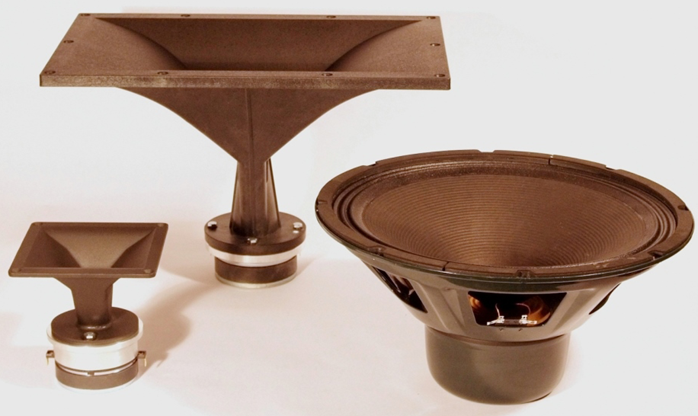 Casta speakers are completely custom built and to maintain quality control each speaker must be inspected a few hundred times before shipping. Q: Where are the drivers manufactured? A: All the components are made by us. None are commercially available. All are made in house following our exclusive design. Obviously we do buy some individual parts from specialized companies like magnets and diaphragms and we source our aluminum bits from a local machine shop. Q: Are the cabinets built in house too? A: We are not assemblers but designers and use qualified craftsmen and custom parts to our standards – cabinet makers, painters and people working on our custom components. We carefully monitor all phases of the work to be under our own strict quality control. Therefore we have a specialized painter and a specialized cabinet maker and they are trained to work within our system not just as 'furniture designers'. All our labor resources are local to come from our Marche region in central Italy. Q: What materials are used in the cabinet construction? A: The Model B and Model C cabinets are made of Birch ply, their side panels from wood-veneered boards called toulipier. With the Model A the cabinets are made of toulipier and the front/rear baffles from Birch ply again.